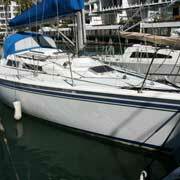 34 Holiday designed by Anglo Lavranos for sale in Cape Town South Africa. 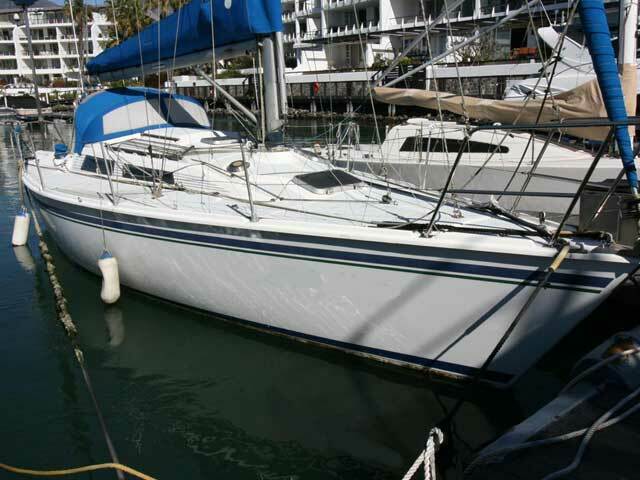 Work required to get her back up and running but offers the taller rig option from the factory and interior with lots of extras and well equipped. 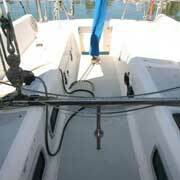 Sloop, Bellamy aluminium mast and boom - taller double spreader rig option (Turbo Rig), spinnaker pole - stowed on mast, backstay tensioner, Profurl roller-furling unit, all sheets lead aft, stainless steel standing rigging. 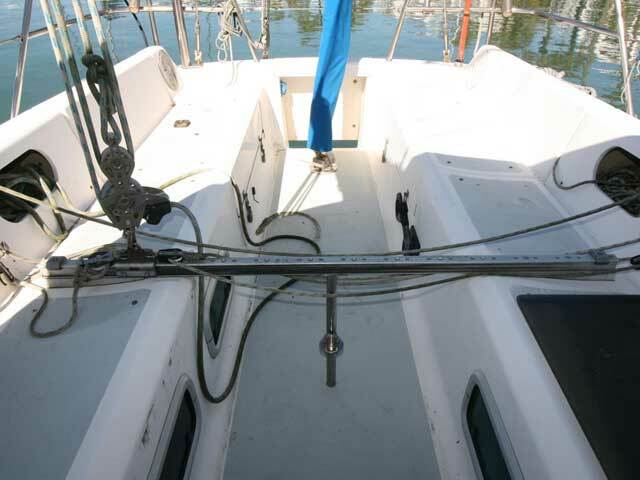 Total: 4 - Stack-pack Main with lazy-jacks, roller-furling Genoa, Spinnaker Storm jib. Total: 4 - Make: Lewmar self-tailing. 2 Primaries, 2 Coachroof. 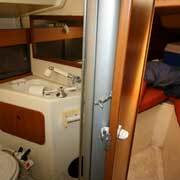 4 Winch handles. 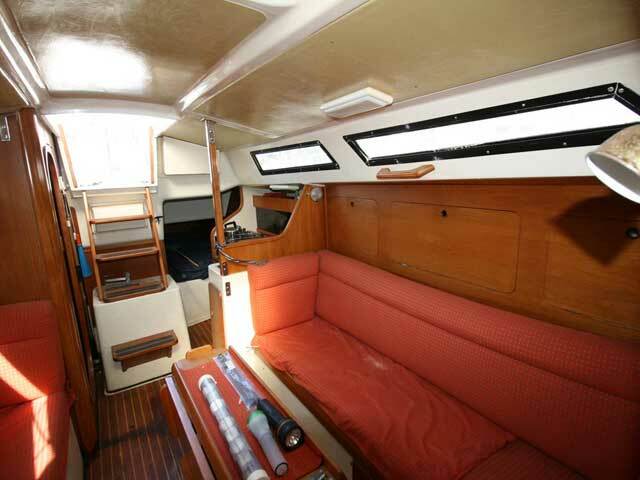 18hp Yanmar 2GM20 engine - requires thorough general clean and service, 60L diesel storage in 1 stainless steel tank, 3 batteries (require replacing), 2-blade folding prop. 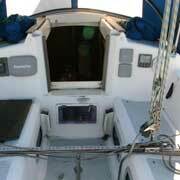 Tiller, Raymarine autopilot (requires service). 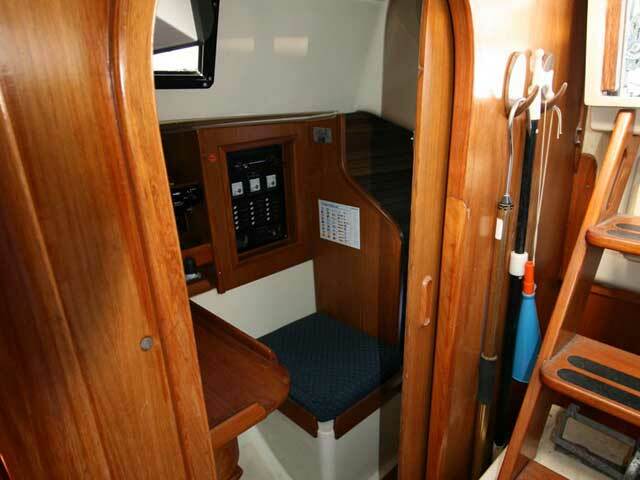 Uniden VHF, Furuno Radar, Furuno GPS, Raymarine C80 GPS chart plotter at nav station and A60 in cockpit, echo sounder, log, wind instrument (requires service), bulkhead compass, shore power connection and cable, clock. Unable to check all the electronics due to the batteries needing replacing. 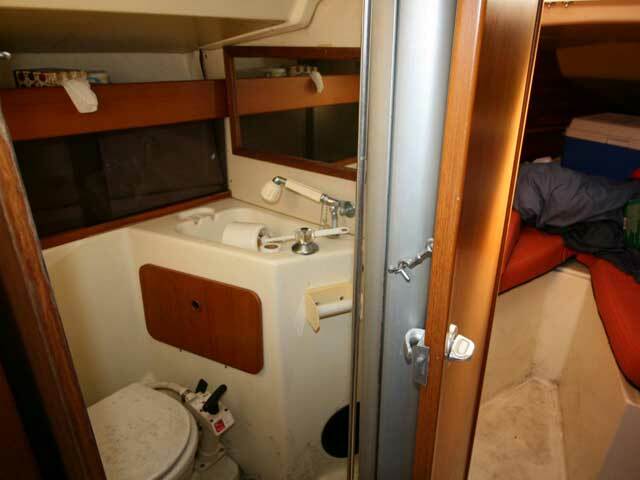 Total berths: 7 - 2 cabins with 2 double and 3 single berths, heads, basin, material upholstery, Teak and Holly floor (requires replacing or refurbishment). 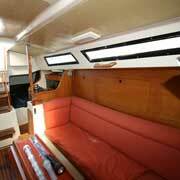 Modular and Teak interior which is in solid condition. 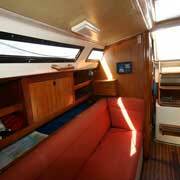 She does however require a very good clean and general maintenance as has been moored for 18 months without use. 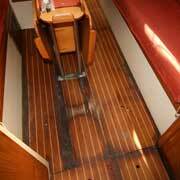 The floor boards have been damaged due to water in the bilge. 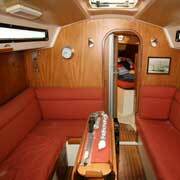 She offers extra cabin option with sliding door and includes the nav station. 2-Burner Force 10 cooker with oven, fridge (may require re-gassing), gas bottle, single stainless steel sink, manual and pressurised cold fresh water system. 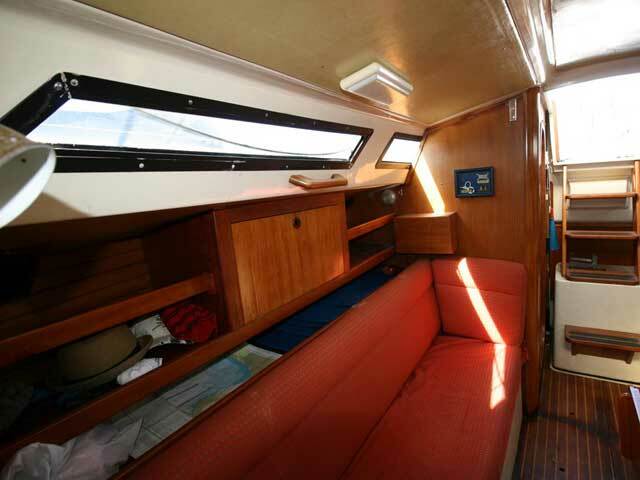 200L Water storage in 2 stainless steel tanks, manual and pressurised cold fresh water system, 3 bilge pumps - 2 manual and 1 electric. 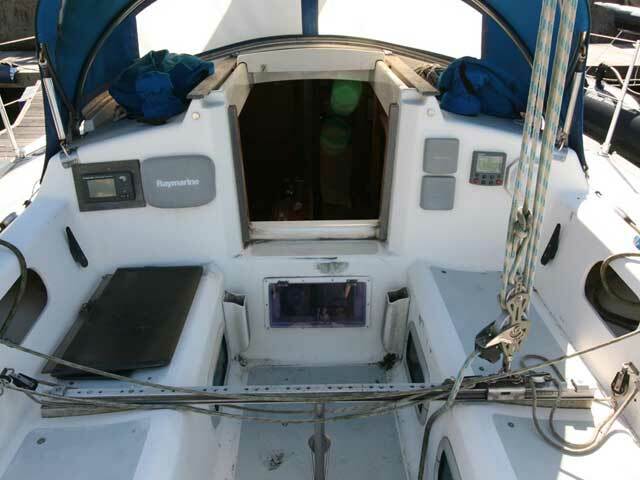 Anchor, chain, 6 life jackets, 4 harnesses, life ring, danbuoy, C & N flags, radar reflector, boat hook, bucket, wooden bungs, bosun’s chair, first-aid-kit. 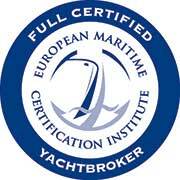 Stainless steel gas BBQ, fenders and mooring lines. 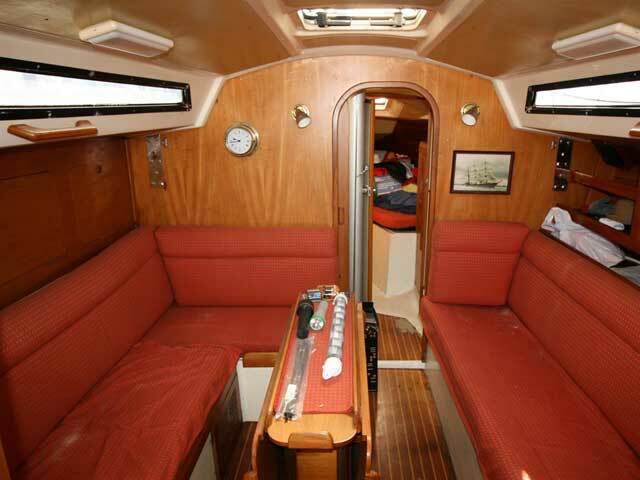 Factory fitted interior with the private aft cabin option. 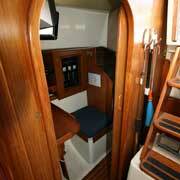 Extra lockers in the two cabins, standard comfortable saloon and usable galley area. She has however been standing closed for 18 months or so and requires a thorough clean and some work to get her back up and running. 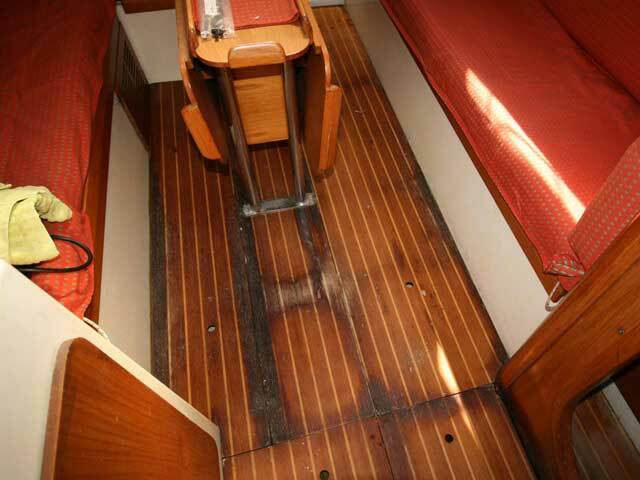 Woodwork is in good condition however the floorboards require replacement or refurbishment. Well equipped and offers the taller ‘Turbo’ double spreader rig option.